incorporating pipework and parts by Hele and Hunter from redundant English organs. 2m., 24 sp.st., 7c., el.pn. Gt: 8.8.4.4.2-2/3.2.1-3/5.III. 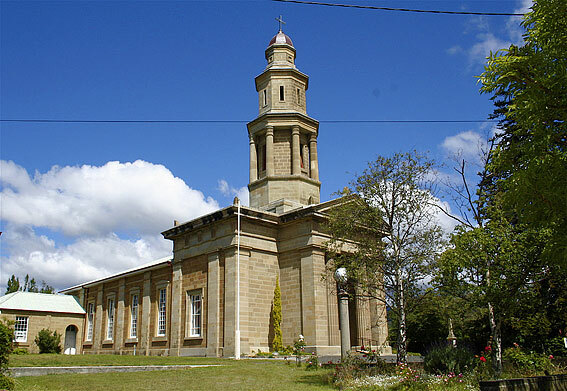 At Battery Point on a Knoll known as Kermode’s Hill stands St George’s Church, with a Georgian façade and unusual three-tiered belltower. This church and windmill that once stood opposite were landmarks for ships at sea in earlier days. 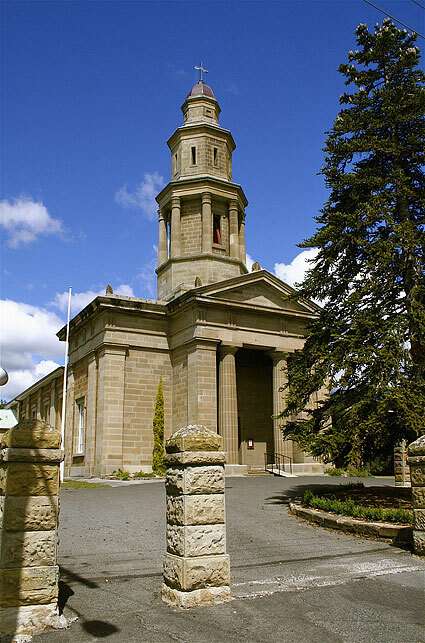 St George’s was designed by two of Hobart’s earliest and best known architects, John Lee Archer and James Blackburn. 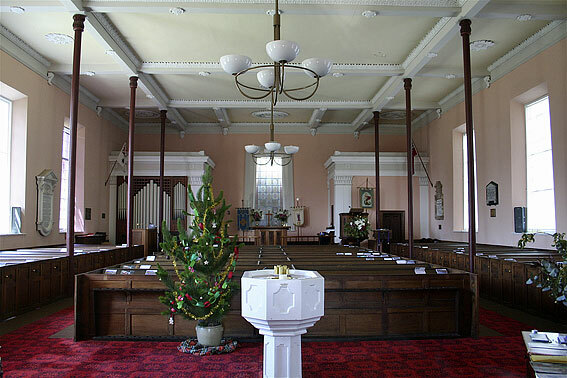 The nave designed by Archer and built by John Wright, cost £1,239, and this sum was raised by subscription and Government grant after residents petitioned for assistance. 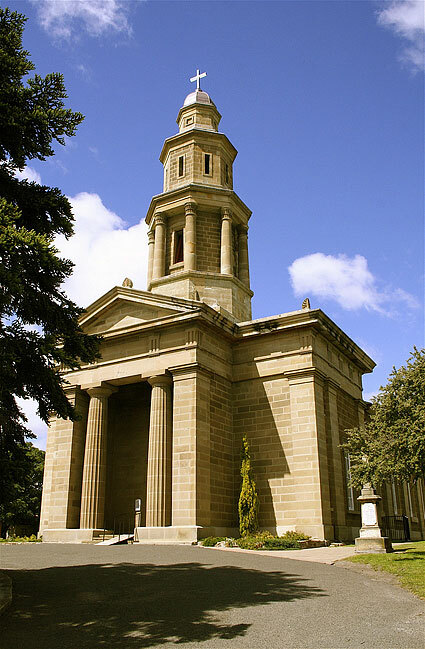 The foundation stone was laid by laid on 19 October 1836 by Governor Arthur but has been hidden by additions to the building. The first Bishop of Australia, the Right Reverend D.W.G Broughton, consecrated the church in 1838. The impressive tower and porch were designed by the convict architect James Blackburn, the tower being built within ten years of the nave. The porch was not added until 1888. The three tiered belltower is said to be a copy of the ‘Temple of the Winds’ in Athens. The first organ shown when still in St George's, Battery Point. Now located in Christ College Chapel, Baintree Avenue, Dynnyrne. B. 1867 Bishop & Starr, London for St George's Anglican Church, Battery Point. Inst. present loc. 1981 Long, Langlois & Johnstone. 2m., 10 sp.st., 2c., tr. Gt: 8.8 divided.8.4.2. Sw: 16.8 divided.4.8. Ped: 16. 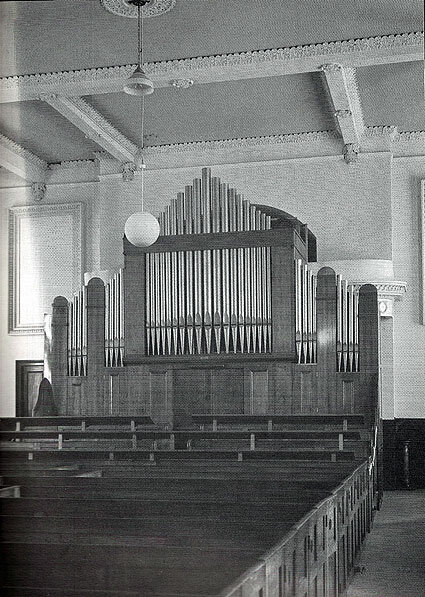 Photo from Historic Churches of Australia by Reed & Beck, 1978.